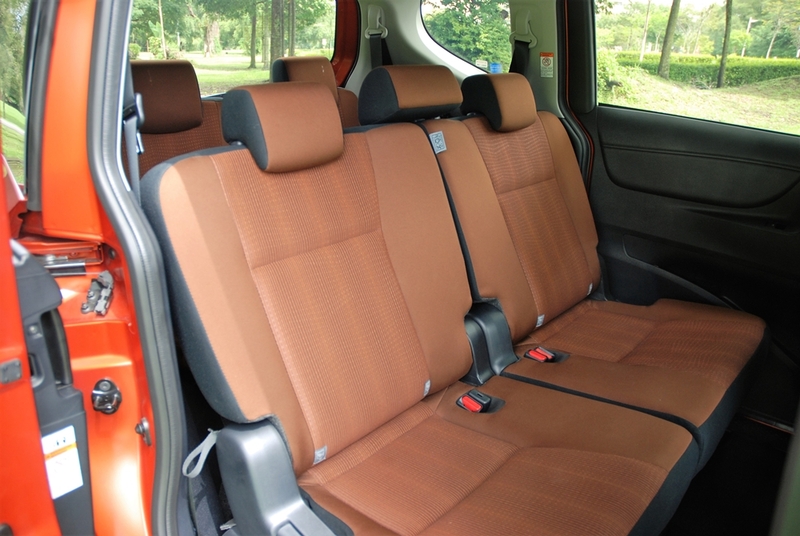 If you are a parent, perhaps you can relate to this – picking up and dropping off your children to school, chauffeuring them to tuition or after school activities; taking them for a play-date and or a friend’s sleepover and so on, yep, you get the idea. 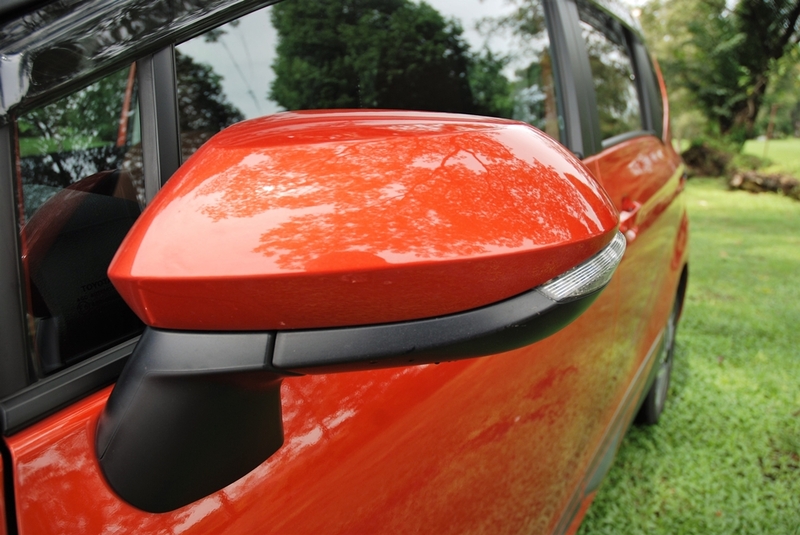 Well, we get it, your life is pretty much running around all day long to the point of utter exhaustion, so owning a hatchback or sedan is no longer an option especially if you have a big family to ferry around. 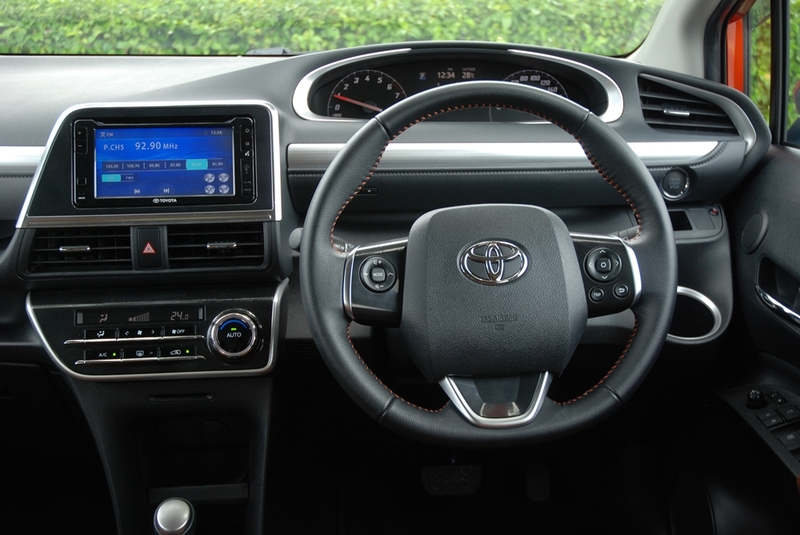 However, if you find driving a conventional minivan very unappealing (especially if you’re still in your 20s or 30s) but you still want to give all your loved ones (and their friends) the comfort they need (so they can stop whining or throwing tantrums in the back while you’re trying to focus on the road), well Toyota has something that you might fancy. 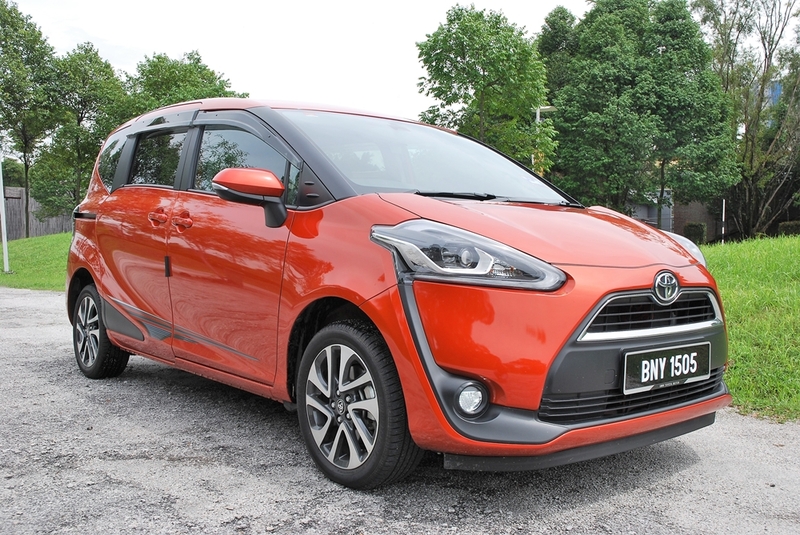 It’s called the Toyota Sienta and this is Toyota’s first passenger car-based, 7-seater model to be introduced into our domestic market. 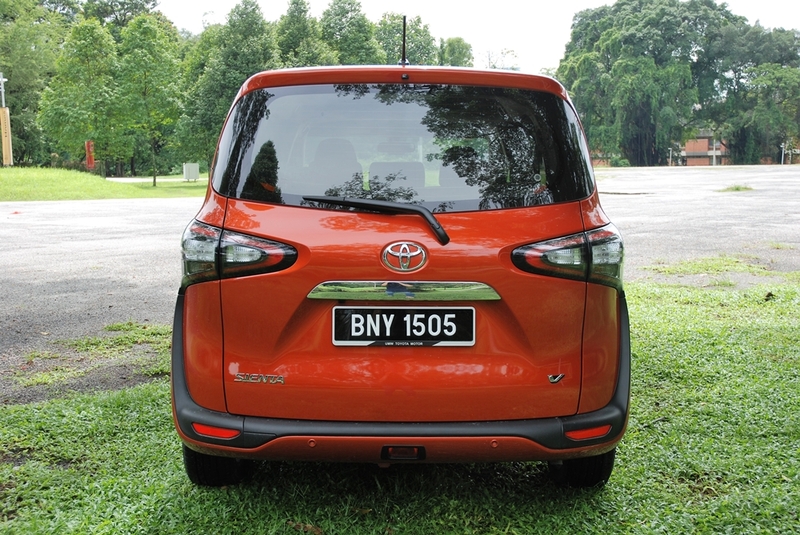 Due to its compact size, this Multi-Purpose Vehicle (MPV) will be perfect for young families living in town and also for those seeking a trendy-looking car with a unique design rather than a plain ‘people-carrier’. 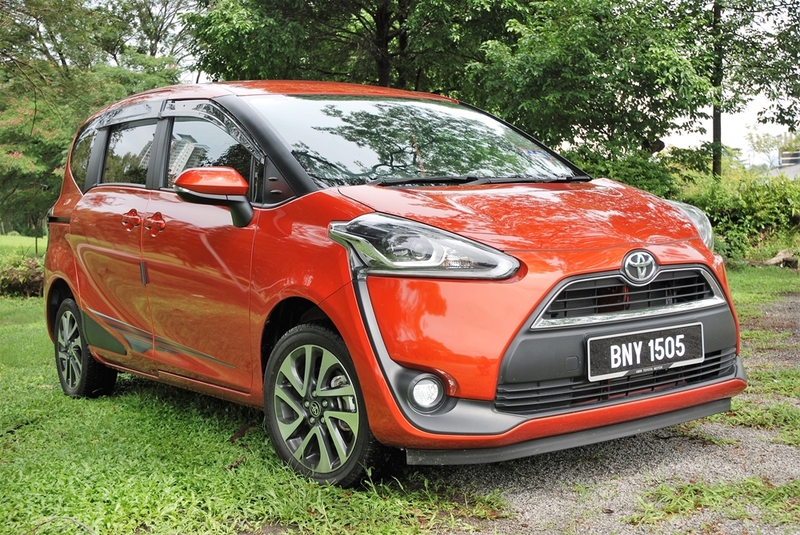 On looks alone, the Toyota Sienta looks nothing like other Toyota models in the lineup with its bold and unique design. 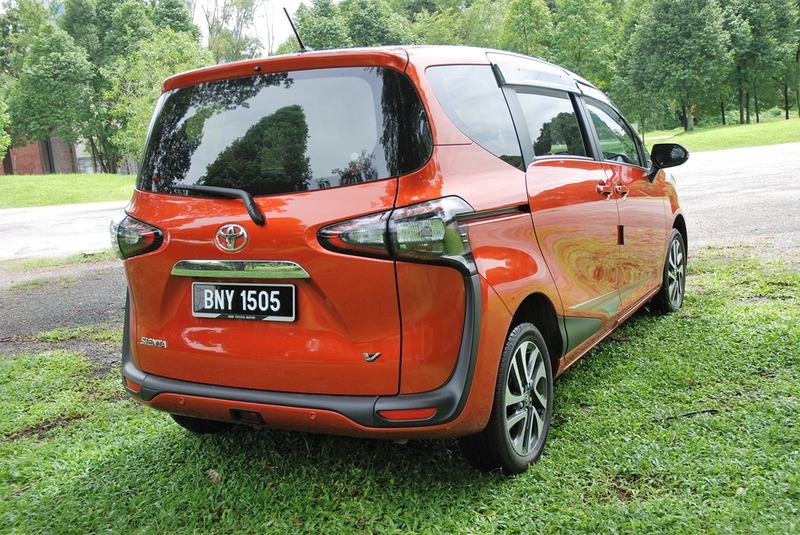 According to the folks at Toyota, the Sienta’s styling is inspired by a trekking shoe (no, really!) 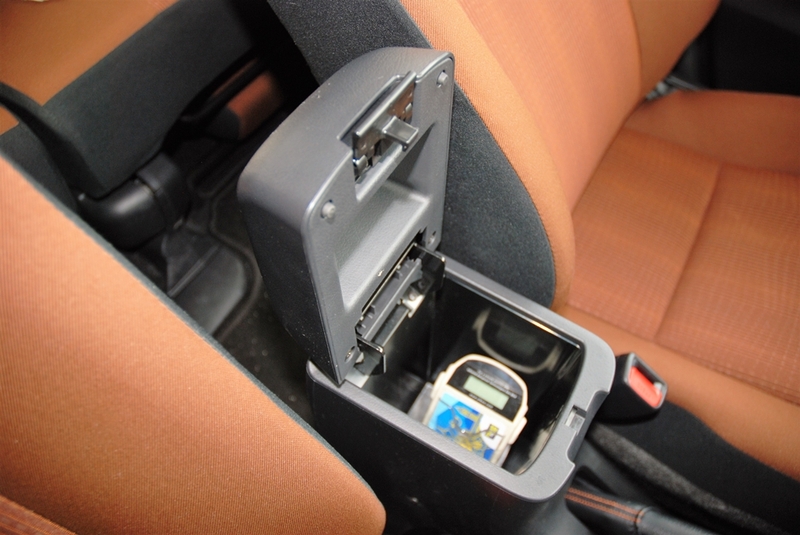 while the vehicle’s 3-dimensional form with garnish is based on a shoe’s protector. 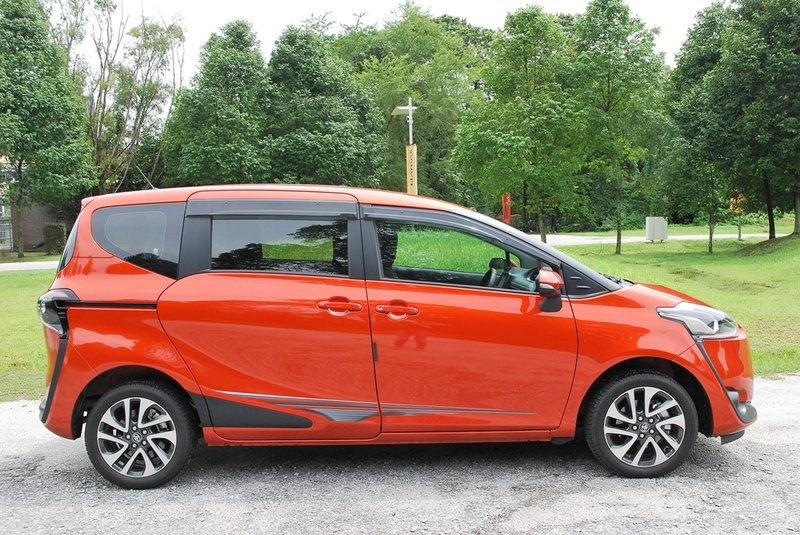 Hats-off to Toyota for this clever design because its overall trendy and sporty looks motivates me to hit the road plus, this orange metallic exterior as you can see on my test unit here, gives a very cheerful vibe to the MPV. 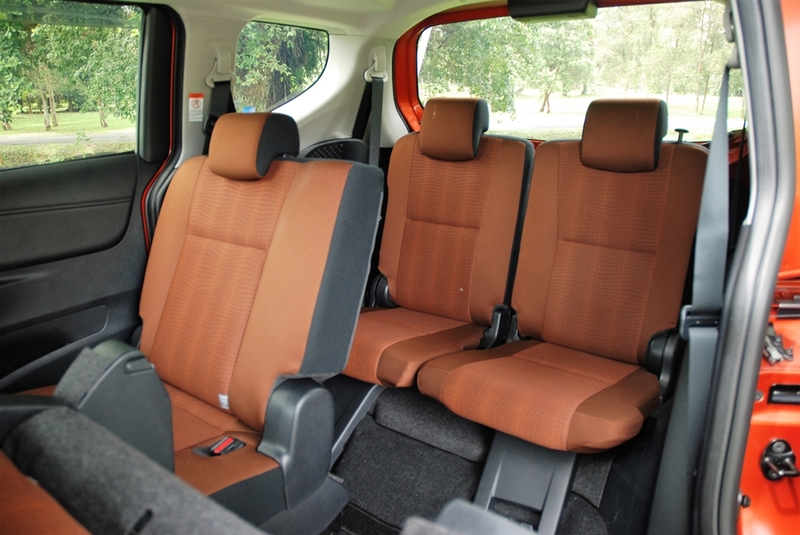 Although the Sienta has compact body dimensions, once you’ve stepped into the cabin, you’ll be surprised to find how spacious it is thanks to its smart packaging that provides great functionality with plenty of space for you and all your occupants. 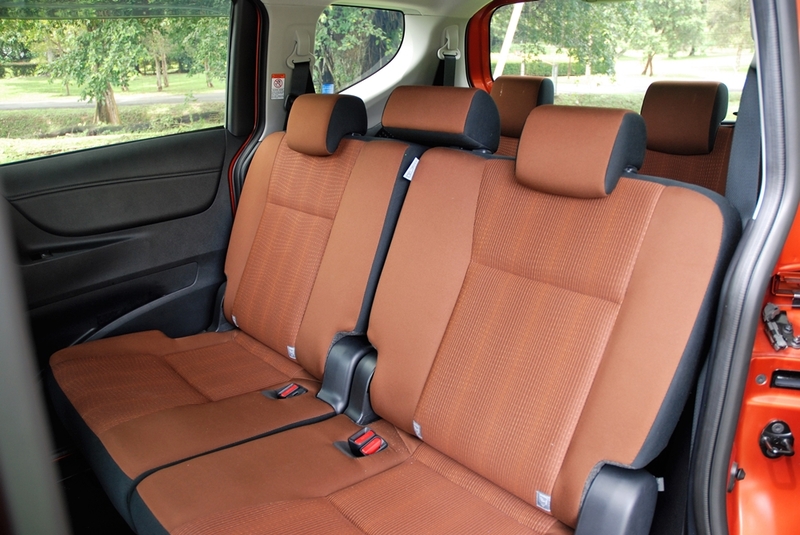 Toyota claims the Sienta is a ‘one car for all purposes’ where different seating layouts can be created according to their needs. 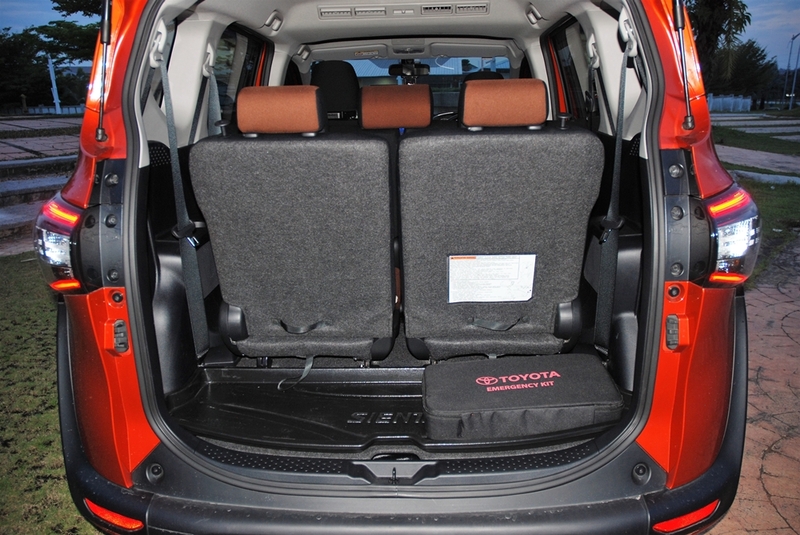 For instance, if you require more cargo space to store your items, you can fold both rear seats that can split 50:50 while the third row has a ‘dive in’ folding feature which allows it to be completely flat, maximizing cargo space. 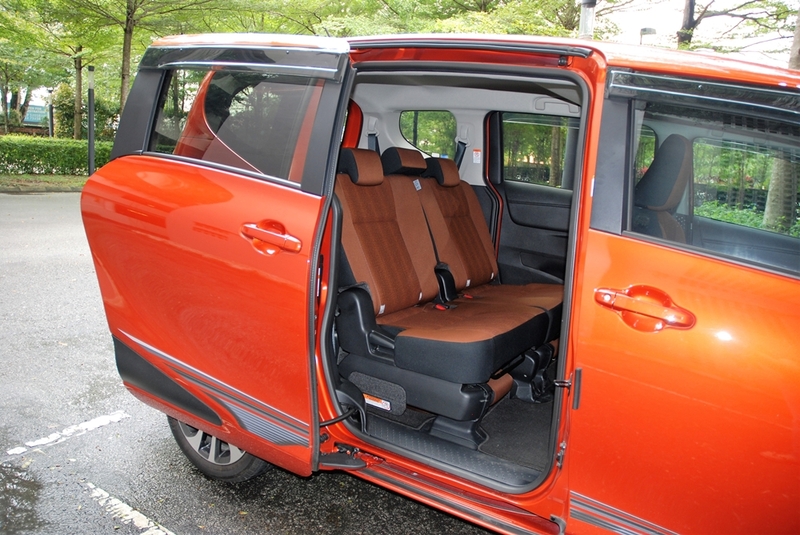 Best thing about the Sienta is that it makes typically cumbersome tasks like opening heavy minivan doors and going in and out of a tight parking space from the rear seats a lot more convenient. 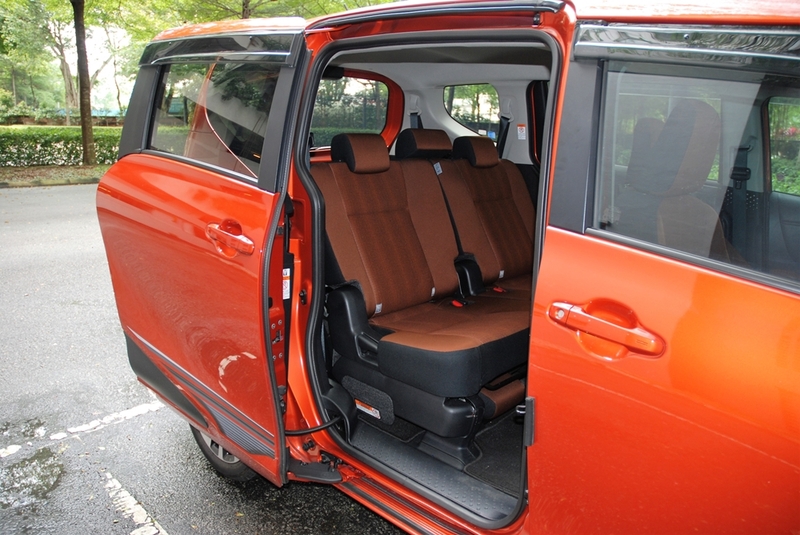 Instead of a conventional hinged doors, the Toyota Sienta has automatic sliding doors on both sides which can be operated by pressing a button on the key fob, or a switch on the dashboard. 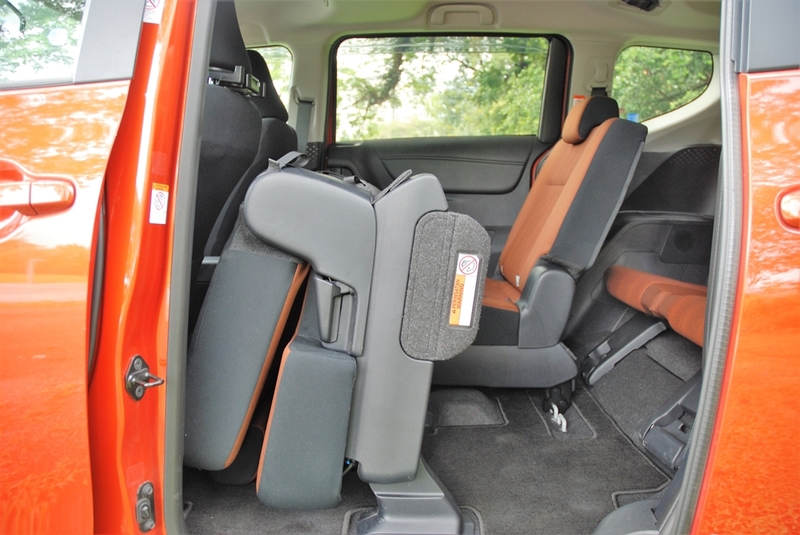 Due to its large opening, installing a baby seat is a much easier task and you can even load bulky items via the passenger area instead of having to load them in the cargo area. 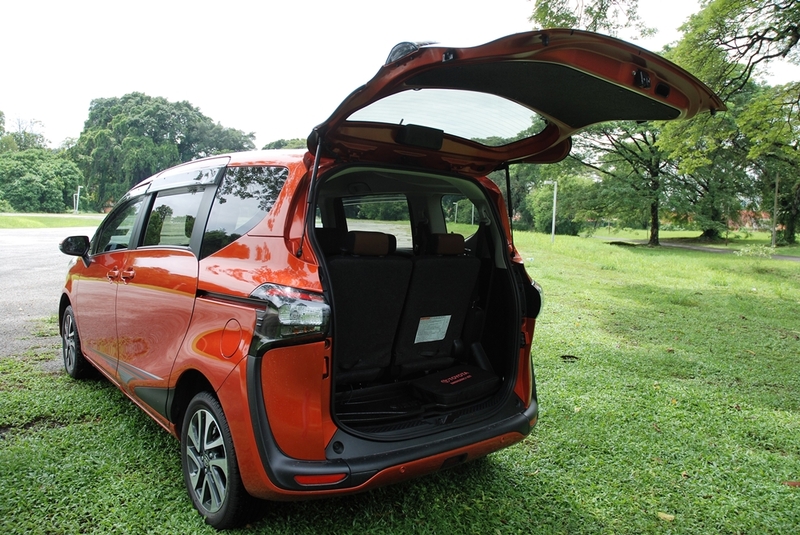 It would be nice if the Sienta comes with a power-operated tailgate because the heavy tailgate door opens wide, requiring an extra effort to close it. 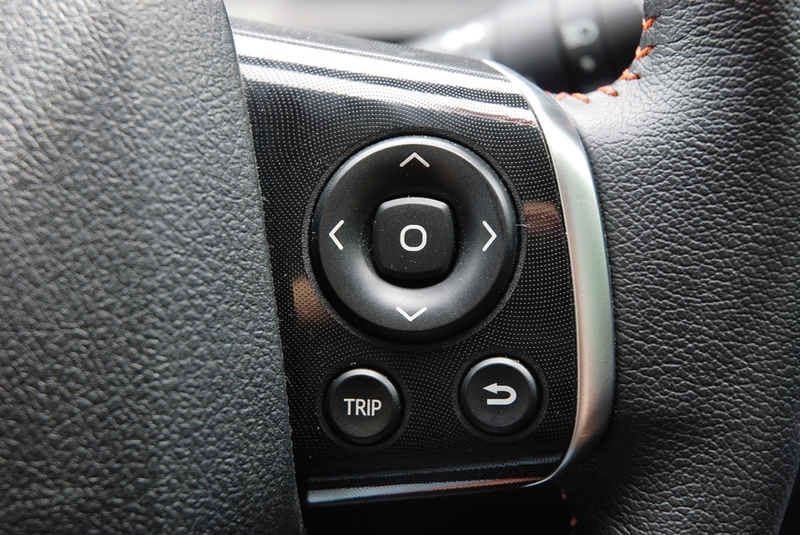 Considering the fact that you’re always on-the-go, having a Smart Entry & Start system is such a life saver where you can simply ignite the engine via a push of a button, so you no longer have to fumble around in your bag or pocket to find the key every time you hit the road. 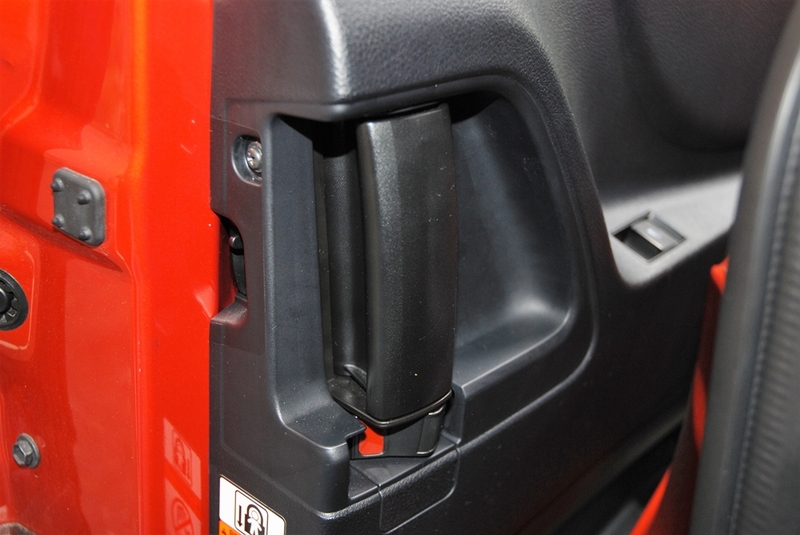 With the possibility of having up to 7 persons in the cabin, there will be a need for storage spaces to keep drinks, personal devices and other small items. 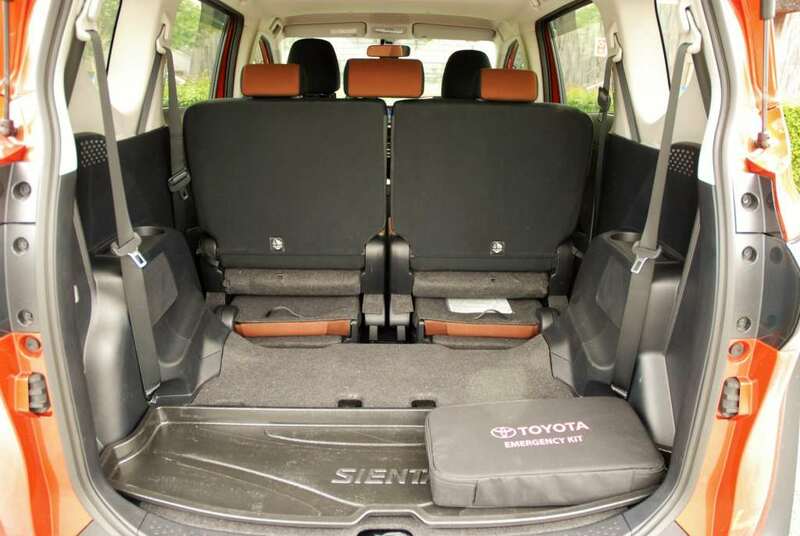 Understanding this need, Toyota has provided no less than 14 storage spaces around the cabin – enough to store snacks, bottled water, toys, iPhone, iPad to keep your kids (and adults!) 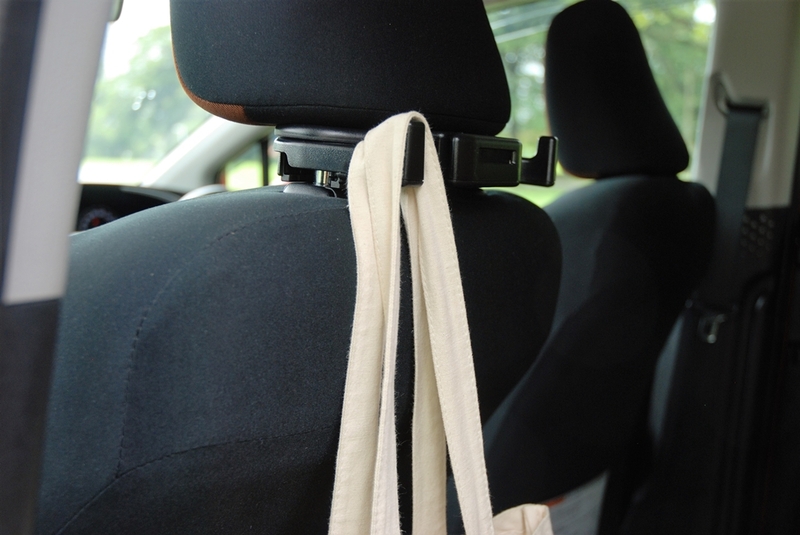 occupied on the roads so your journey will be less stressful especially during long distance drive. 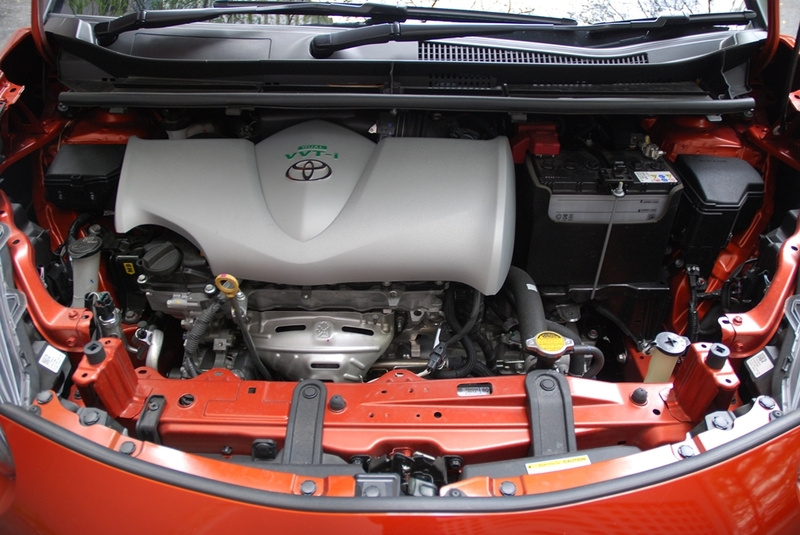 With our warm tropical country, owning a vehicle with good air conditioning system is a must. 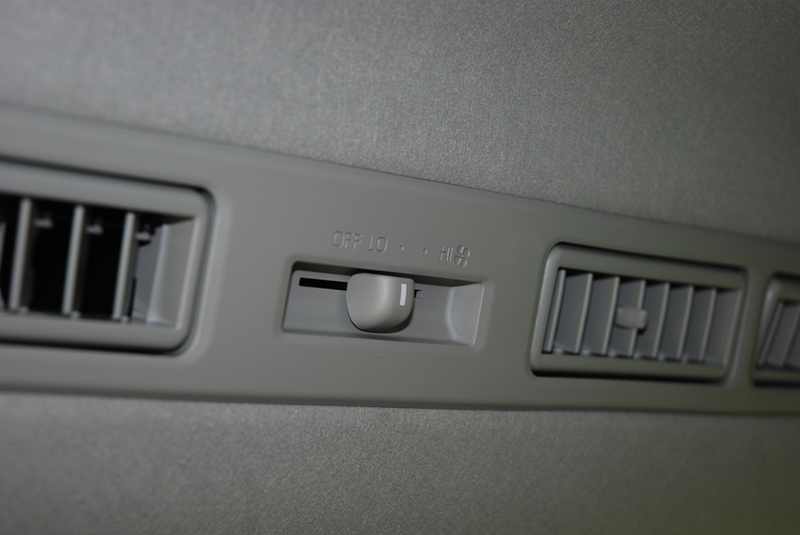 The good news is that besides the automatic air-conditioner up front, the Sienta also comes with an additional blower mounted on the ceiling to send some cool air to the passengers seating in the second and third row. 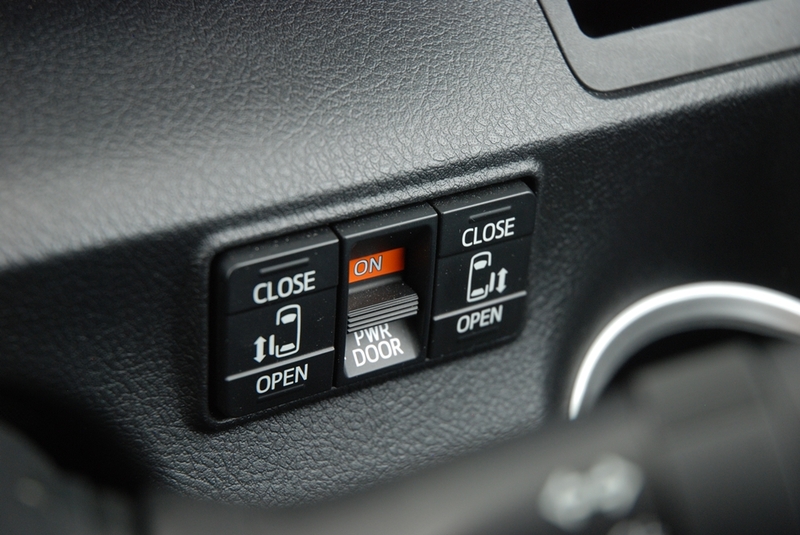 The blower speed is adjustable and if there’s no passengers sitting at the back, it can be turned off via a button located next the steering wheel. 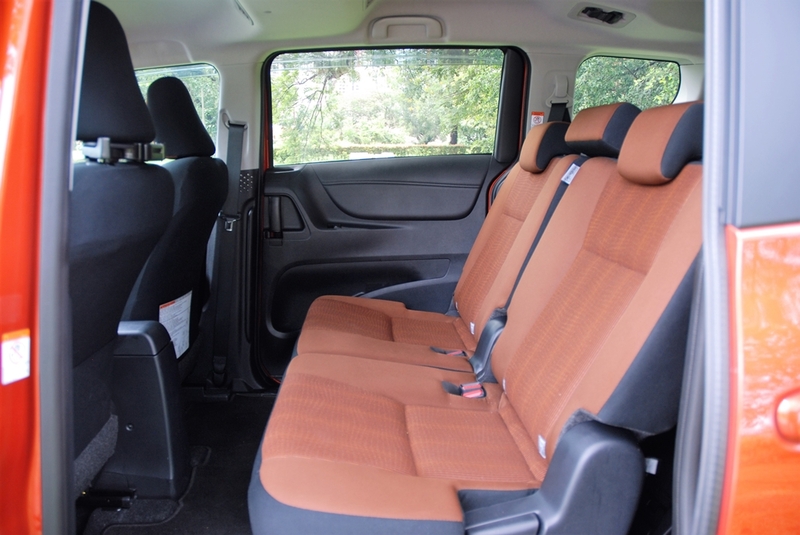 Elsewhere inside the cabin, a DVD-AVX system which has a 6.8-inch touchscreen, DVD-player, Bluetooth and voice recognition for handsfree operation are available as a standard features in the Sienta. 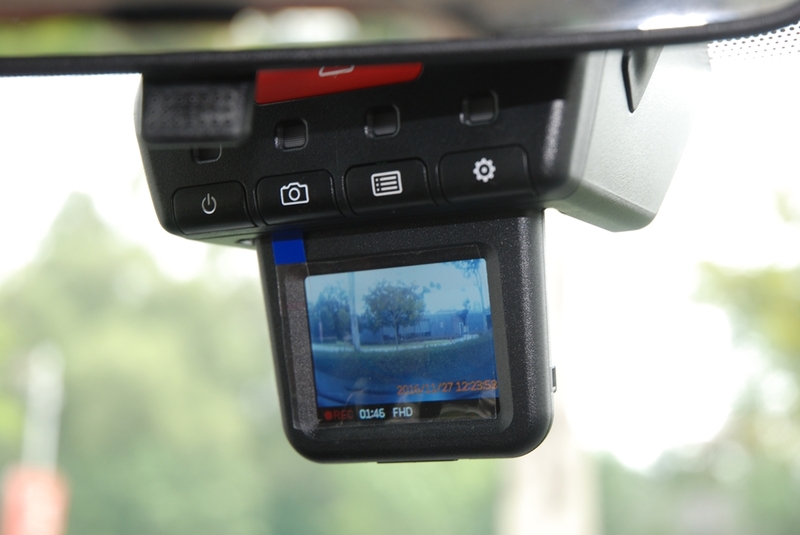 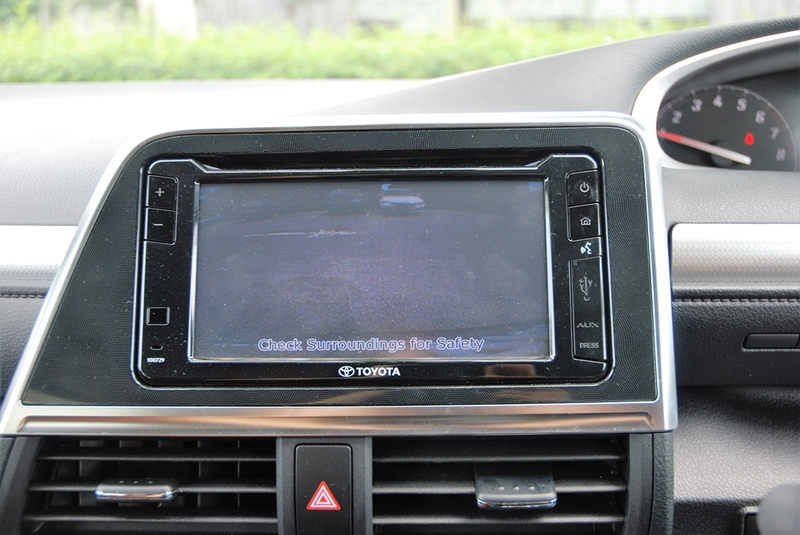 A reverse camera is also equipped in the Sienta for easier and safer parking job. 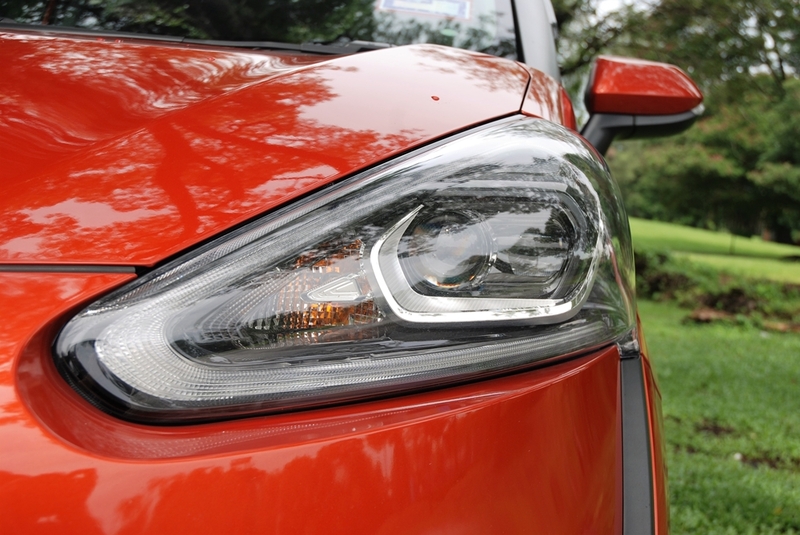 Under the sloping bonnet of the Sienta lies a 1.5-litre petrol engine with Dual VVT-i (Variable Valve Timing with Intelligence) that produces a maximum power output of 105hp and 140 Nm of torque. 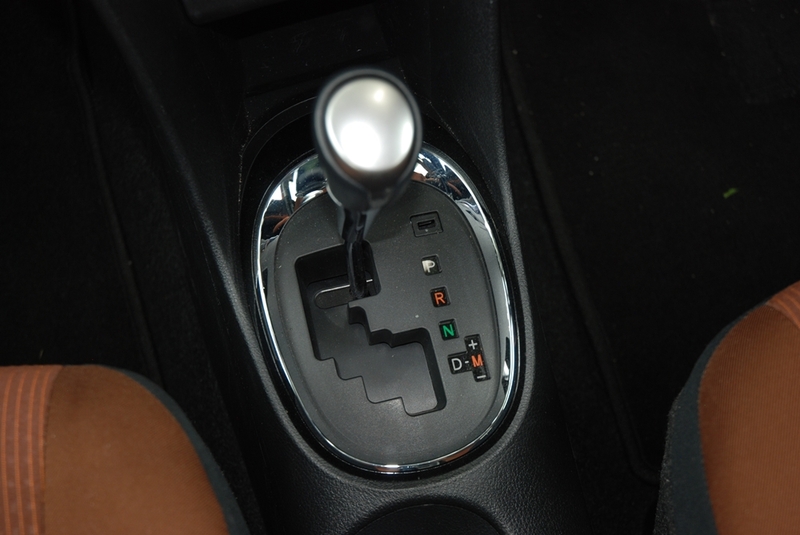 Power is sent to the front wheels via a Continuously Variable Transmission (CVT) with 7-speed Sport Sequential Shiftmatic. 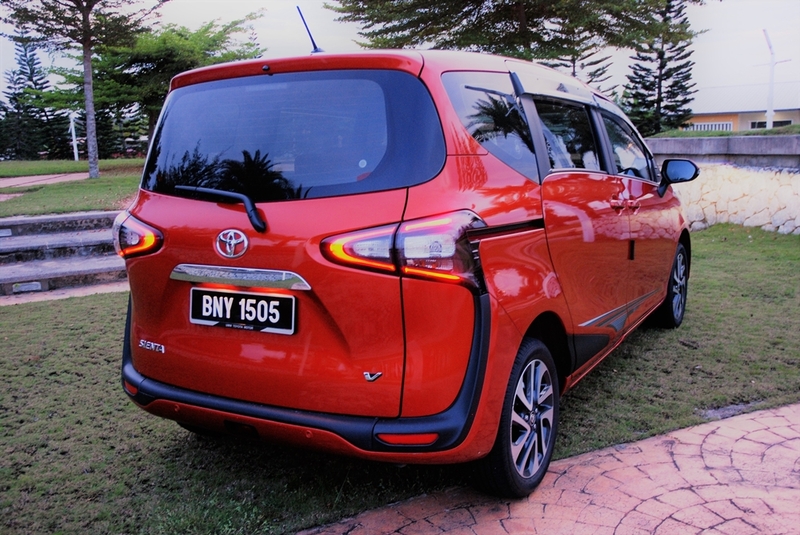 The Sienta drives effortlessly on the highway and it doesn’t seem to struggle even with 5 adult occupants on board, where the CVT can almost immediately find the exact ‘virtual’ ratio needed to seamlessly provide power without the need for gear shifts. 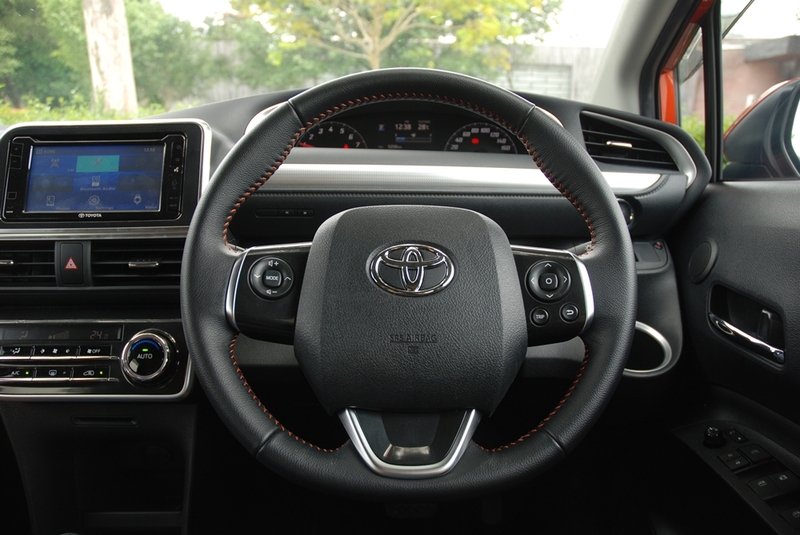 You’ll be able to enjoy a smooth ride and not worry about shifting gears, making driving a less laborious task. 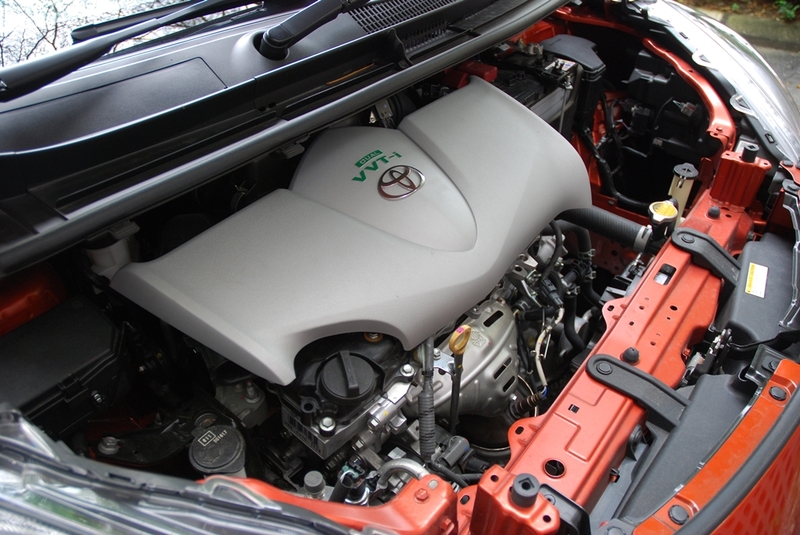 The only downside you might need to get used to is the buzzing sound of the CVT that is typically loud (the same thing I’ve experienced in the refreshed Vios). 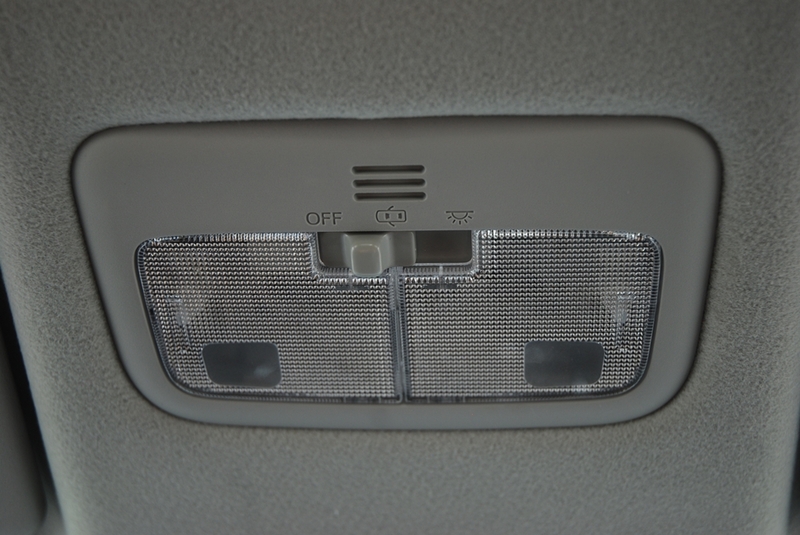 If you’re used to a bunch of screaming kids, this will probably be a minor annoyance you’ll have to get used to! 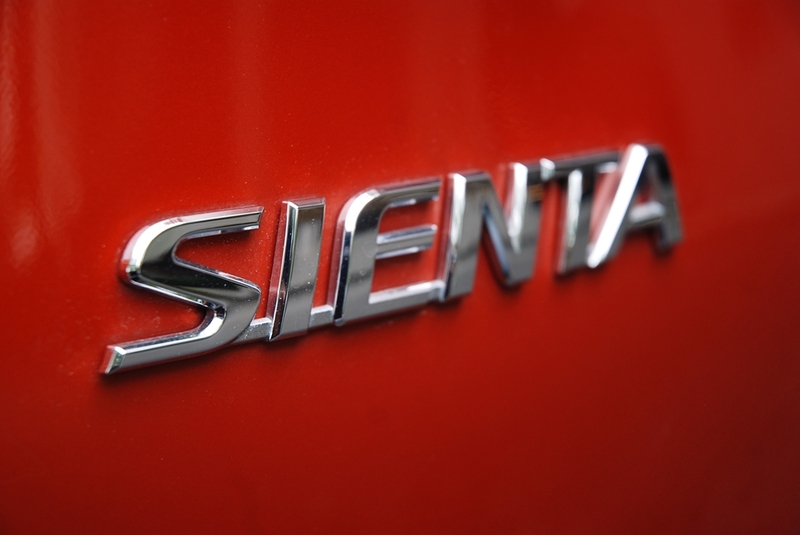 While the Sienta might lack driving engagement, it does its job well as a city commuter. 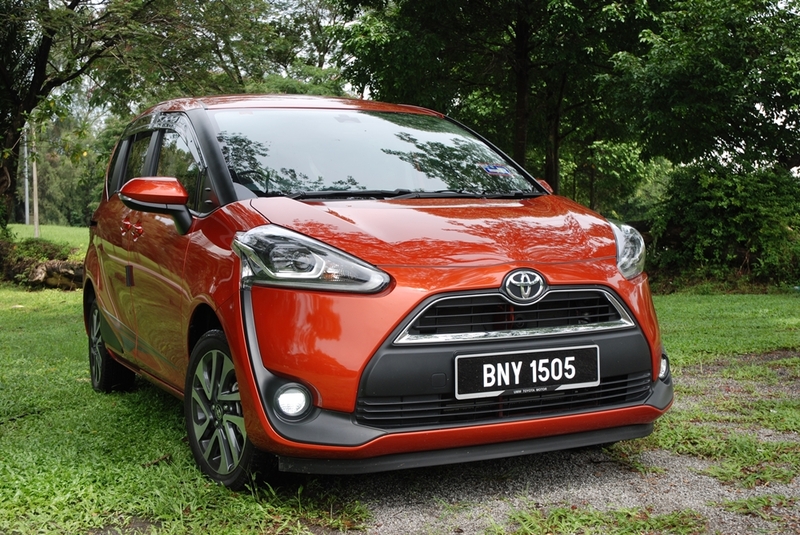 The electronic power steering makes maneuvering around town an effortless task while the suspension is able to absorb all the road bumps and dips for a cushioned ride. 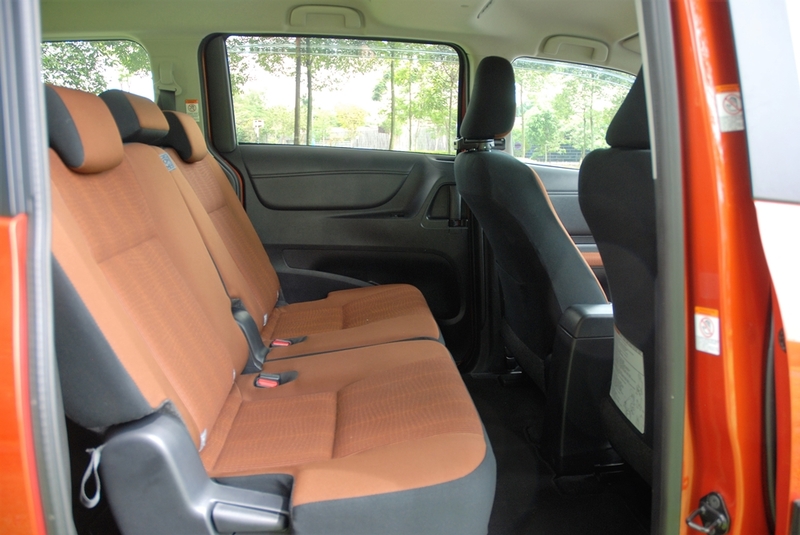 None of my passengers complained about the ride whilst I was chauffeuring them in the Sienta in fact, most of the time, they were dozing-off in the passenger seats. 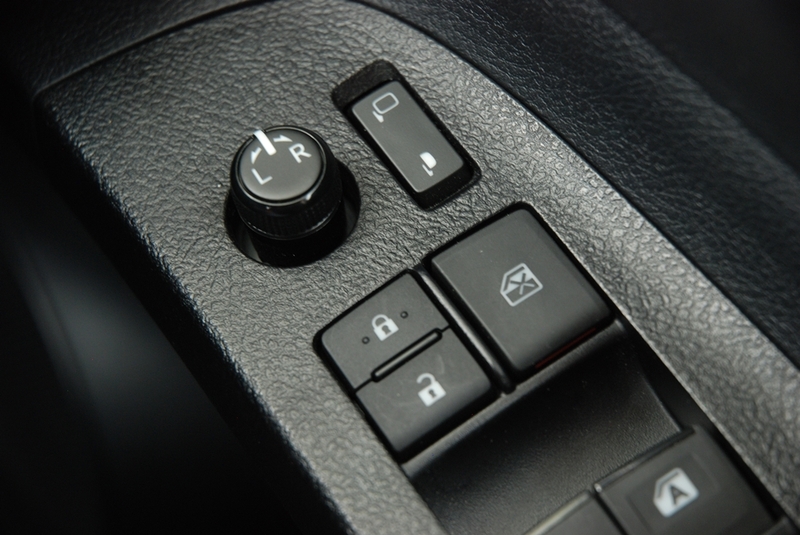 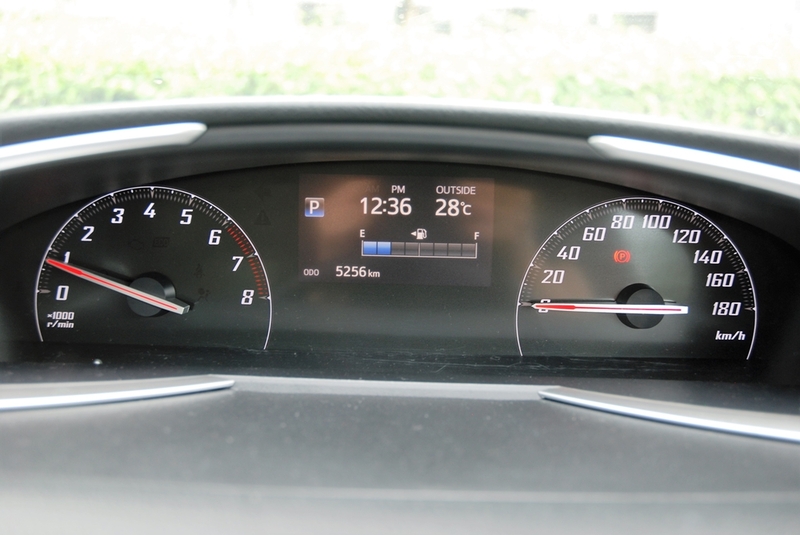 The benefit of driving a car that incorporates a CVT is that it can offer excellent fuel economy. 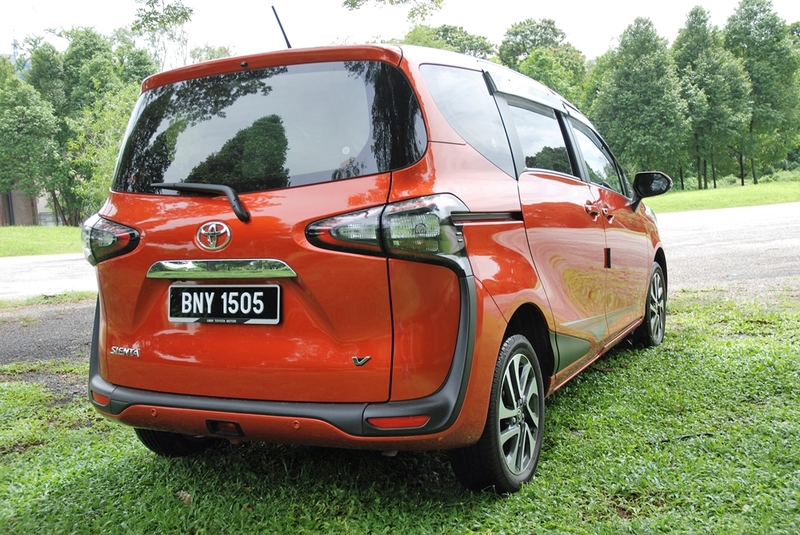 During my time with the Sienta, I achieved a 13.5km/l on combination of highway driving and city traffic, which is not bad for an MPV. 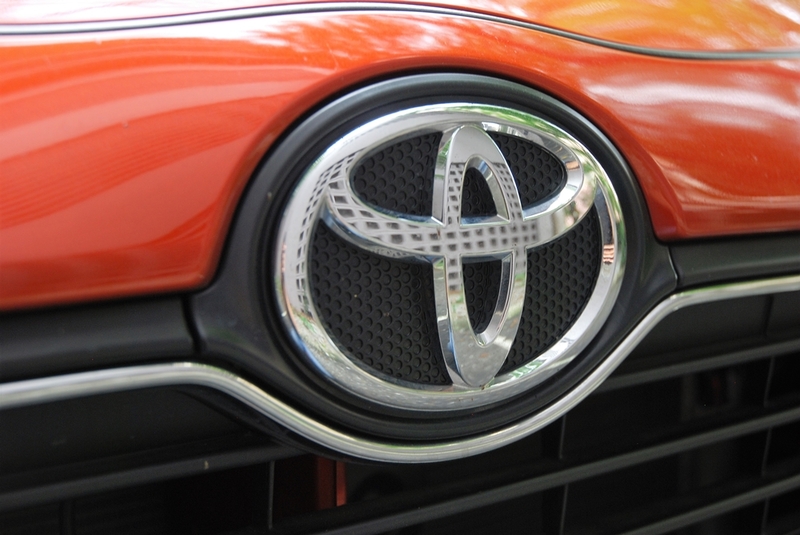 Safety should be one of your biggest priorities when purchasing a family vehicle and the good news is that safety has always been a top priority for Toyota and even more so today. 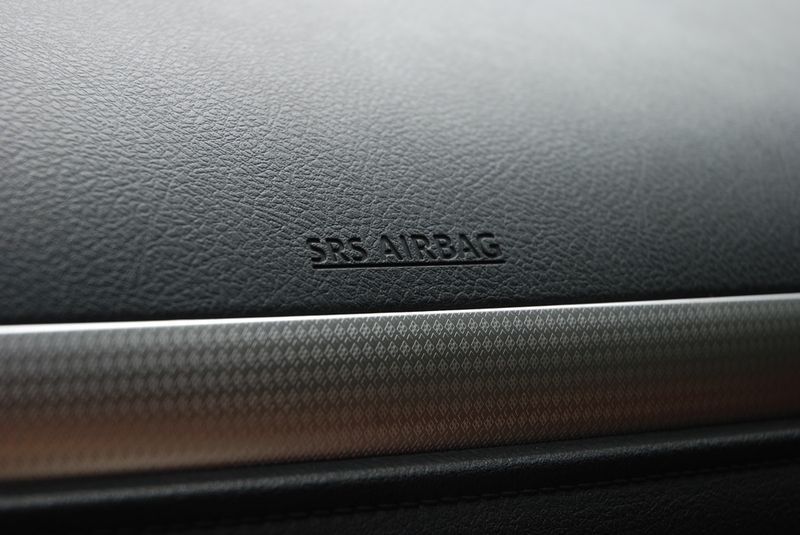 The Sienta comes standard with 2 front SRS airbags and also a 3rd airbag located under the steering column for the protection of the driver’s knees. 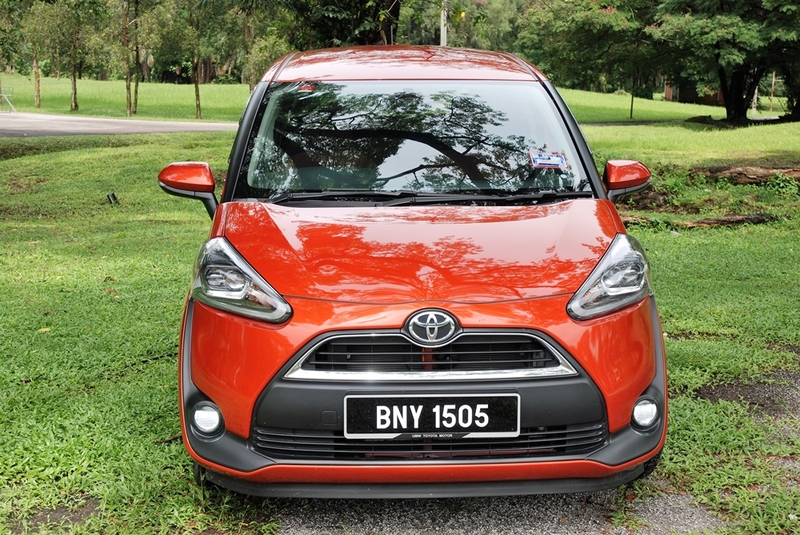 Aside from that, Vehicle Stability Control (VSC) and Traction Control (TA), Anti-lock Braking System (ABS), Hill Start-Assist Control (HAC), Reverse Sensor, ISOFIX child seats (second row) is also fitted as standard features. 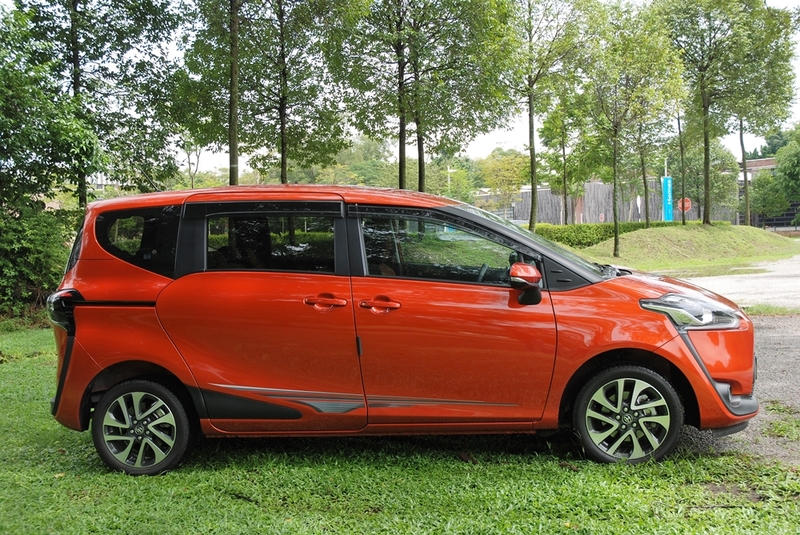 For those who can’t fathom the idea of owning a minivan, the Sienta will be a perfect choice for you and truly the next best thing for your family. 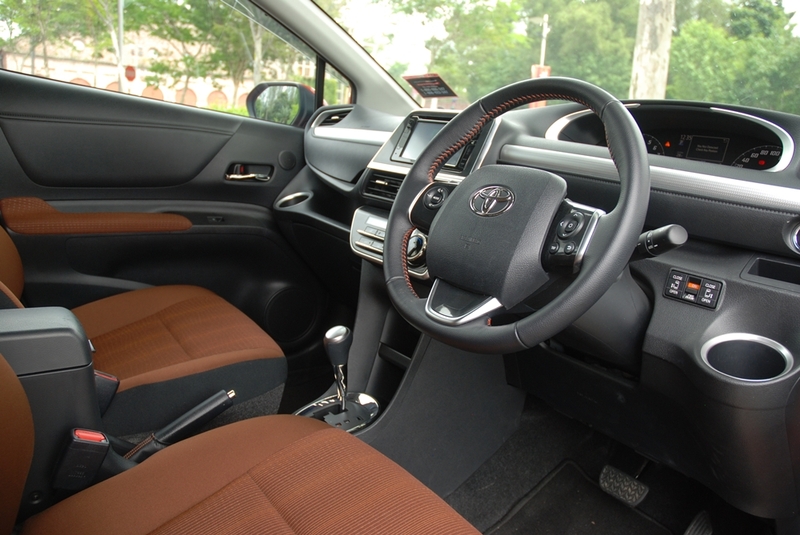 It has plenty of cabin space with family-friendly features and in fact, it is decently priced as well. 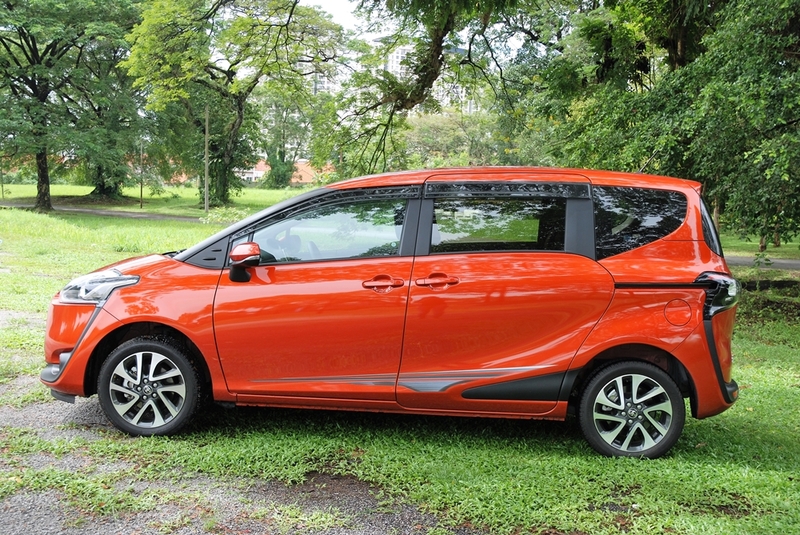 I’m sure that it will appeal to young people and young families who are seeking a compact MPV that’s not boring to look at unlike those conventional minivans that you see parked on your neighbor’s driveway!